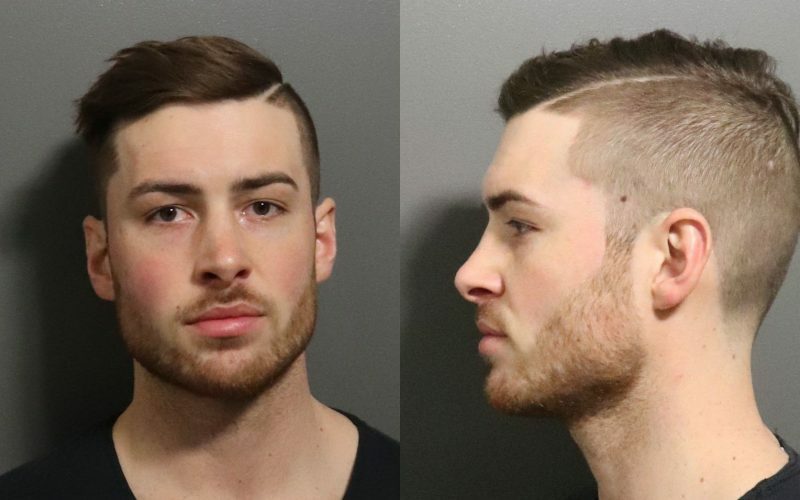 The body of 23-year-old Cameron Hooks was just one angle of testimony Friday illustrating the magnitude of violence in the Motel 6 murder case. Detective Larry Hamilton was called in from home shortly after the shooting and went straight to the Lawrence Municipal Airport, where Hooks’ body lay on a cot in the back of an ambulance, he said. 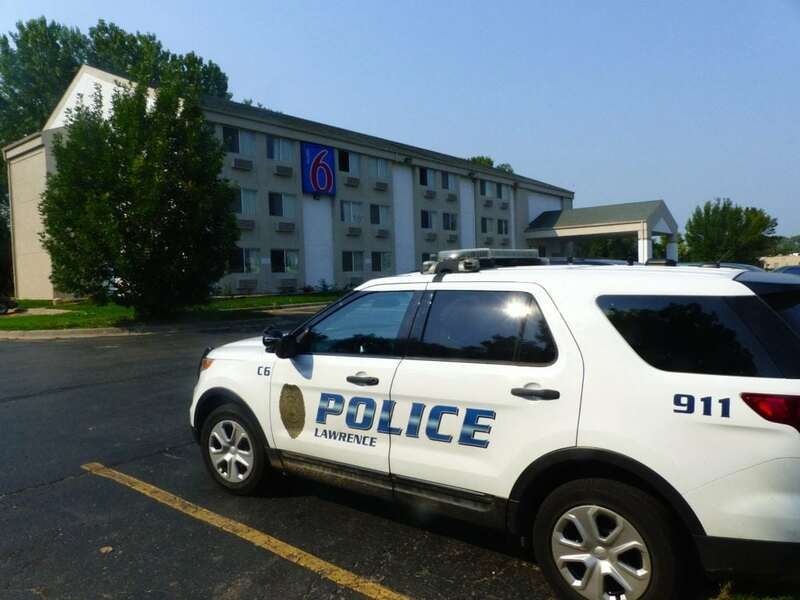 The fatal incident happened about 11:30 p.m. Sept. 2, 2017, at Motel 6, 1130 N. Third St. A group of nine men from Topeka and the Kansas City area had been partying in room 308 when gunfire erupted, killing Hooks and injuring two other men. There was a fourth man with the defendants that night, according to testimony. However, no other suspect has been publicly named or charged, the district attorney’s office confirmed this week. Medics had planned to fly Hooks, of Lenexa, to a Kansas City-area hospital, but he died in the ambulance. As other Lawrence police crews were tending to the large crime scene and preparing to interview other men who’d been in the room that night — two at the hospitals they’d been rushed to, two at the police station — Hamilton went straight to the airport. In photographs he took of Hooks’ body, Hamilton pointed out two bullet wounds on his left thigh, two on his left forearm, one on his chest, one on his back and three on his left side. He said a 10th wound was discovered during the autopsy, beneath a defibrillator pad that had been stuck to Hooks’ torso. After the coroner arrived, Hooks’ body was placed in a white bag and labeled with the name John Doe with date of birth unknown, Hamilton said. Hamilton said he’d heard from officers on scene that the body belonged to someone named Cameron, possibly Crook or Crooks. A tattoo on the inside of Hooks’ forearm — ‘Sylvia,’ in elaborate cursive letters — later helped law enforcement identify Hooks, Hamilton said. Hamilton said he also looked up the tag of a vehicle in a photo on Hooks’ Facebook page and learned it was registered to Sylvia Pearson, Hooks’ mother. 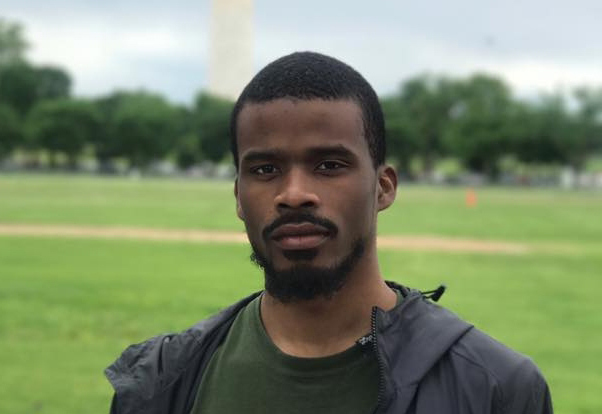 When he was killed, Hooks had only been living in the Kansas City area a couple months, since moving here in June 2017, according to his obituary with a Kansas City, Mo., funeral home. Hooks’ parents were both in the Army, he was born at Fort Bragg, N.C., and lived most of his life in Florida and North Carolina, according to the obituary. Less than a month after moving to the Kansas City area, near his mother and brother, he got a job working at Amazon. On Sept. 2, 2017, Hooks came to Lawrence with Laroyce Thomas of Kansas City, Kan., but didn’t know anyone else in the group that night, according to surviving victims’ testimony. 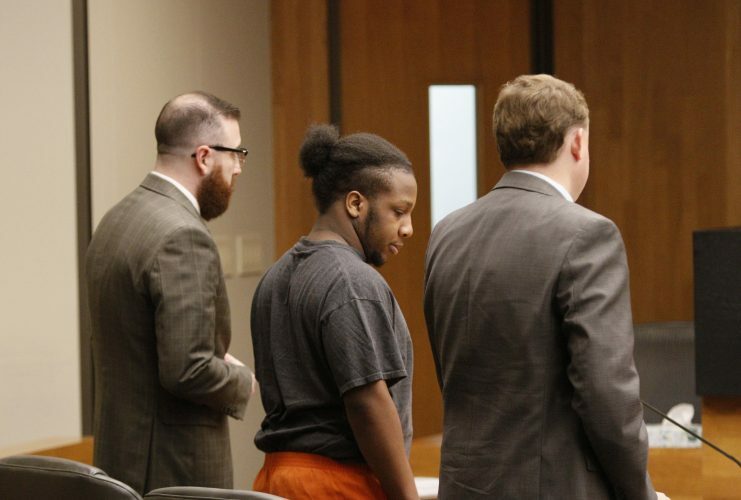 Also in court on Friday, Lawrence Police Department investigators detailed their processing of the crime scene, left peppered with bullet holes and blood. 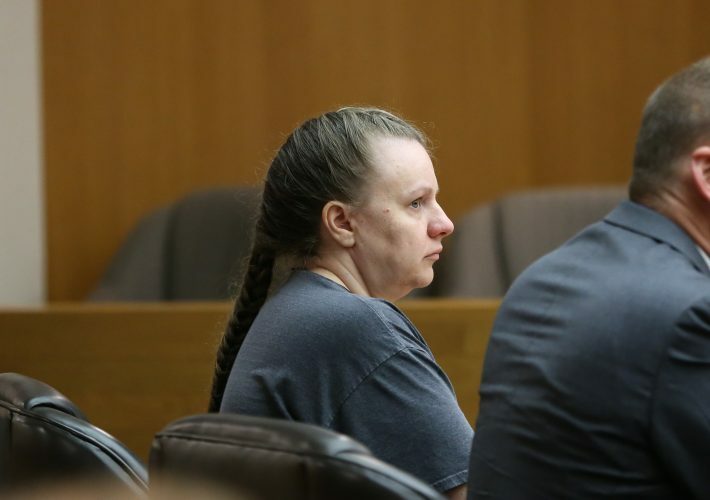 Crime scene technician Jana Ramsey showed photos of the aftermath in the hotel room, where blood was pooled on the floor, smeared on walls and even spattered across overturned pizza boxes on the floor. Referencing photos and opening evidence bag after evidence bag, Ramsey walked the jury through numerous shell casings and bullets, crumpled bloody clothing, scattered shoes, liquor bottles and overturned drinks left behind. She said four types of shell casings were recovered. She also showed photos of items police found outside in the grass beneath the window of room 308: a black handgun, a silver handgun, marijuana and a broken Rolex watch. Detective Zachariah Thomas, now retired, analyzed bullet holes left in the room. Thomas said he cut into drywall to look for bullets left in the walls. He also found one bullet in a next-door hotel room and, later, a bullet hole and projectile in the UPS distribution center next door. Thomas said in all he counted 20 bullets, two fragments and four “foreign objects” from shooting victim Dominck Frye of Topeka, who testified earlier this week that he was shot four times and still has two bullets lodged in his body. All the bullets traveled north to south, or from the hallway side of the room toward the beds and window, Thomas said his analysis showed. That’s the side of the room from which the four men from Kansas City were shooting before they ran out the door, victims have said. Detective M.T. Brown showed Motel 6 security footage that captured people coming and going from the room during the evening, culminating with alleged attempted robbery victim Mathdaniel Squirrel and then four other men whose faces aren’t clear sprinting out of the room and the building at 11:30 p.m. The trial began Monday, with two days of jury selection, and is scheduled to continue through Aug. 24. However, particularly because some planned witnesses fell through, prosecutors now say they may finish their case earlier than anticipated. Judge Sally Pokorny issued a material-witness warrant for one woman, the mother of a defendant, who did not show up Thursday. However, Kiana Jones did come to court Friday and testified briefly. She said Singleton was her son, and she identified the three defendants in photos taken at a picnic in Kansas City, Kan., earlier on the day of the shootings in Lawrence. She confirmed she did drive Carvin — who police said suffered a gunshot wound to his shoulder — to the University of Kansas hospital in Kansas City, Kan., in the early morning hours of Sept. 3.